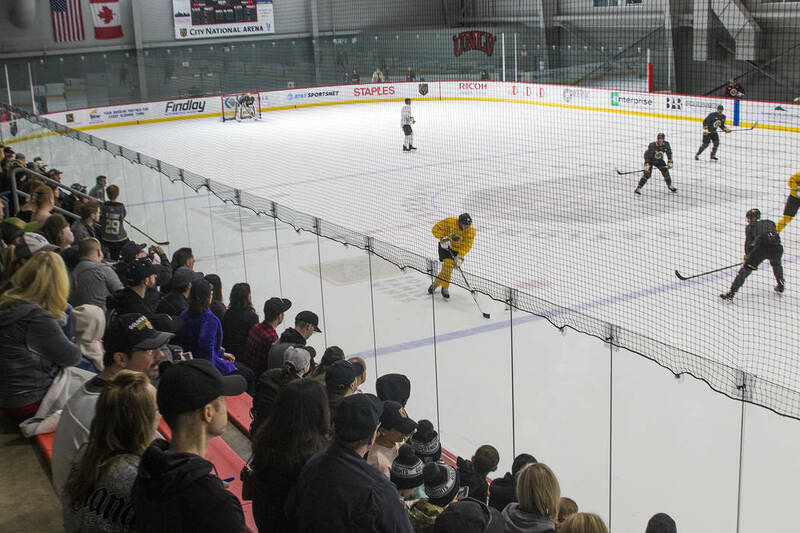 The connection between Las Vegas and its NHL team came after an inexplicable moment of tragedy and grief was followed by an astonishing level of joy and success. 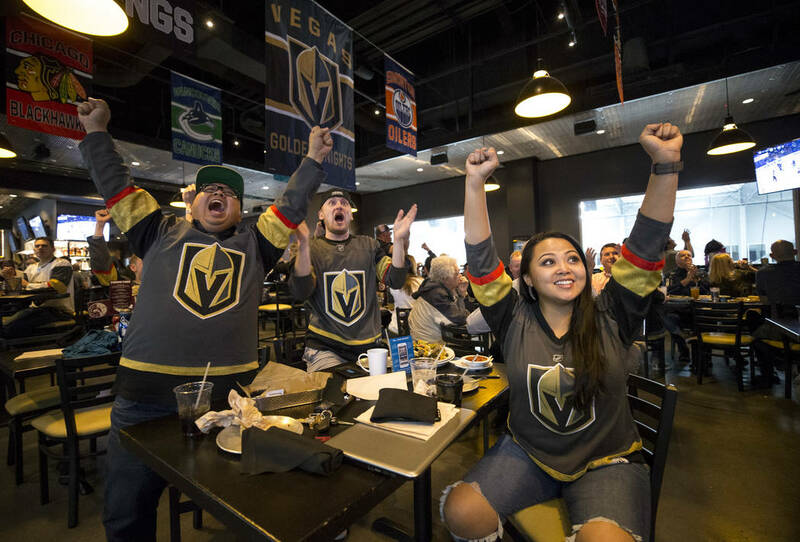 Vegas Golden Knight fans Charles Javier, from left, Jesse Johnston and Charlotte Wolfe celebrate a first-period goal during an away game against the Tampa Bay Lightning at MacKenzie River Pizza, Grill & Pub, a restaurant at the Knights practice facility located on the second floor of the City National Arena in Las Vegas on Thursday, Jan. 18, 2018. When it formed on the big screen for George Clooney and Mark Wahlberg to confront, a tropical tempest absorbed a hurricane and eventually reached its peak as a powerful cyclone. 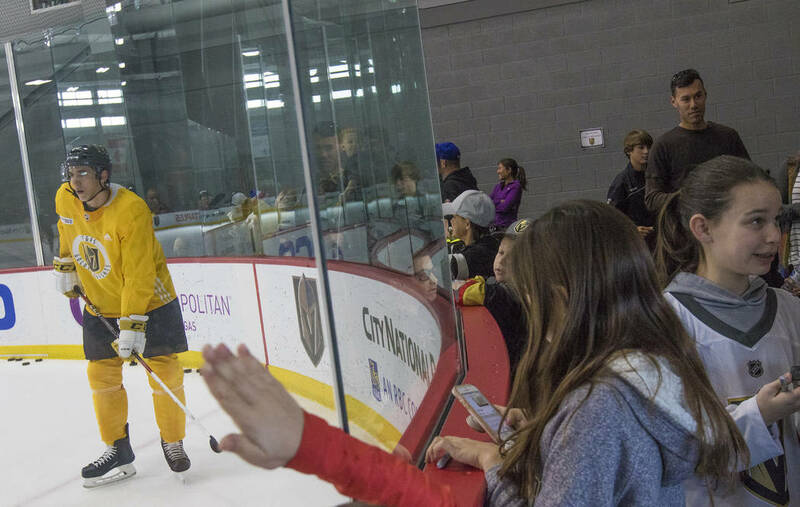 When it formed on and off ice for the Golden Knights and their fan base, an inexplicable moment of tragedy and grief was followed by an astonishing level of joy and success. The lesson: A perfect storm isn’t always created by identical elements. Books have been written and countless parts of the globe researched in hopes of discovering the foremost cause for a fan’s impassioned attachment to a certain team, but often it can’t be adequately explained. 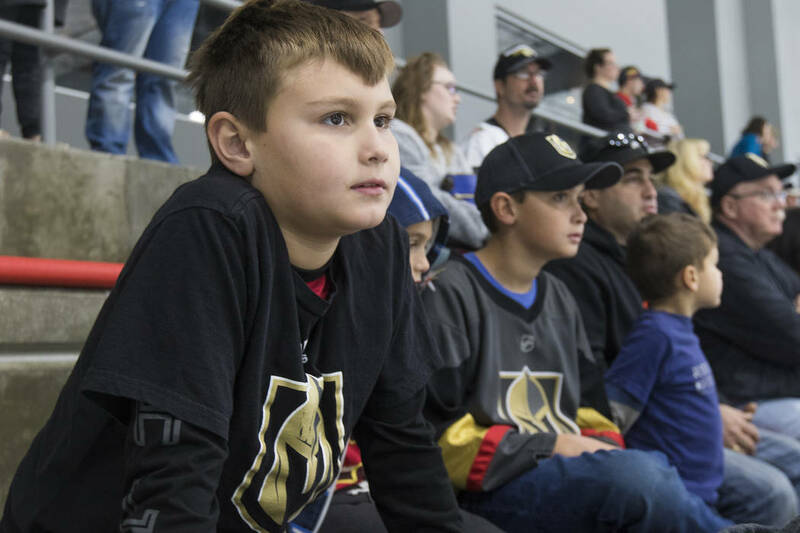 The love affair between Las Vegas and the Knights can be. In the most powerful of ironies, at what should have been a celebratory moment, the town’s first major league professional sports franchise began its inaugural season engulfed in the dark shadows of the mass shooting of Oct. 1, and how effortlessly the team stepped forward to embrace and help all those affected produced an instant bond. 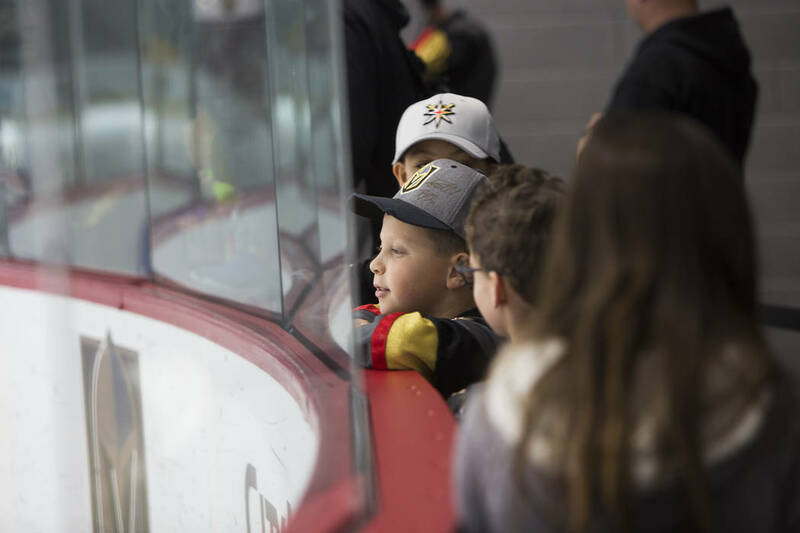 He also knows this: Winning might not be everything, but it’s darn close, and the Knights enter their game at Carolina on Sunday as the Western Conference’s top team. 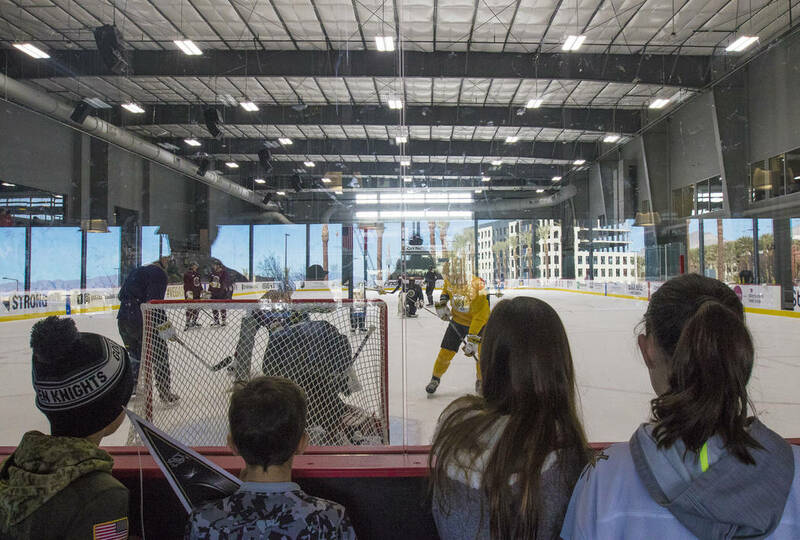 It’s the main reason an estimated 10,000 flocked to a downtown FanFest recently, why T-Mobile Arena has become the most exciting of NHL venues in which to watch a game, why the stands at City National Arena for morning practices are routinely packed, why the facility’s adjoining MacKenzie River Pizza is seated to capacity on game night, whether Vegas is at home or on the road. It’s why pictures of folks dressed in Knights gear and standing on a subway platform in New York go viral. 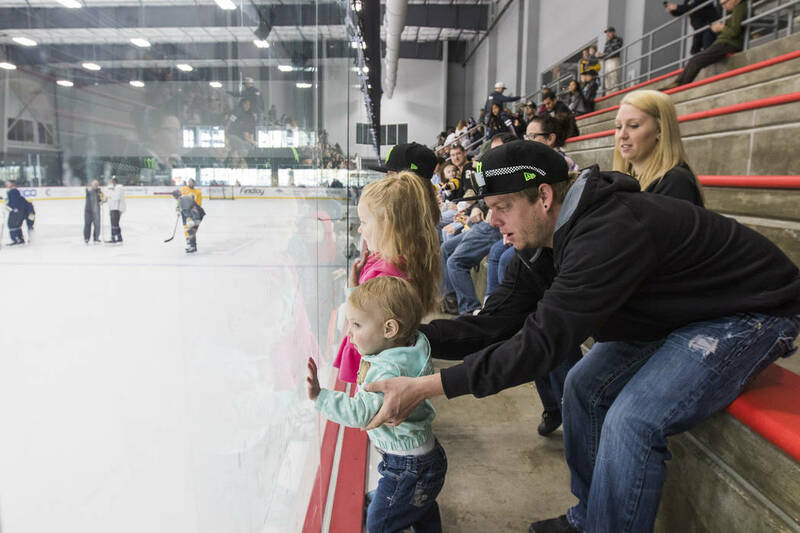 He spoke Thursday from a table at MacKenzie River, where he and friends Jesse Johnston and Charlotte Wolfe come to watch the Knights, who on this particular evening beat NHL-leading Tampa Bay 4-1. The grill and pub is an extension of the Montana-based Glacier Restaurant Group, owned by, yes, Knights owner Bill Foley. He brought his pizza and wings and beer to Las Vegas, too. 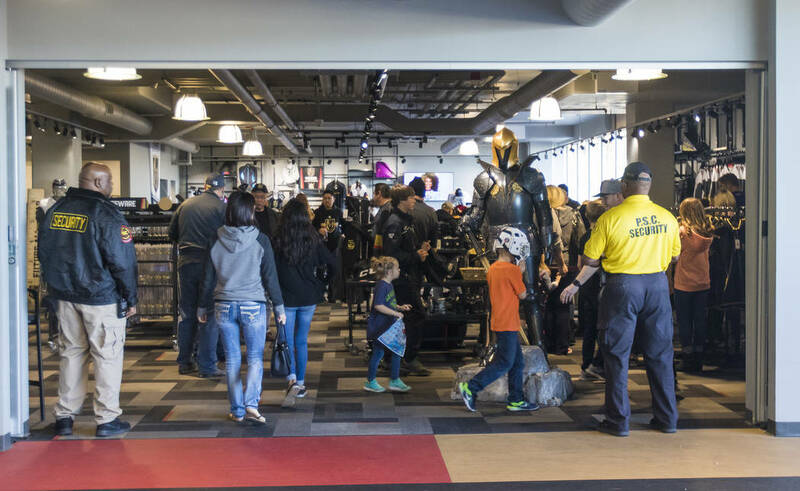 The pub offers views of both practice rinks at City National, is decorated with Knights imagery and murals, and has a seating capacity of 315. They’ve pushed the limit on that number often. 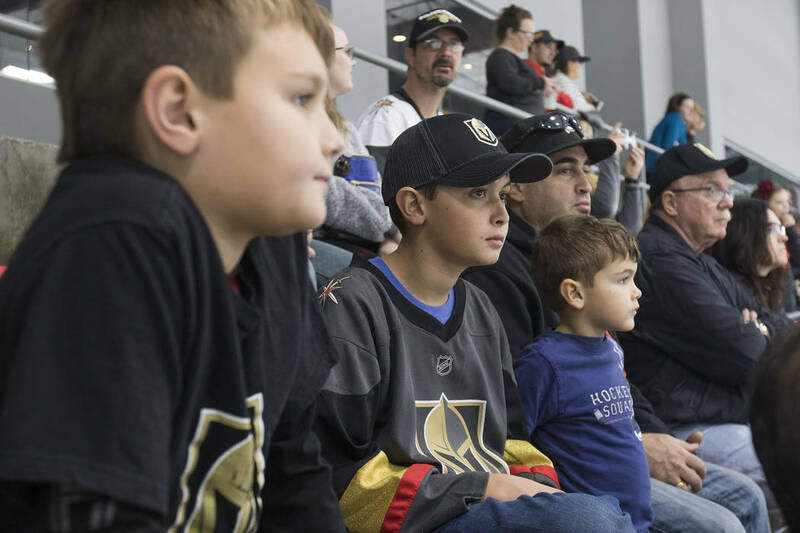 Things are on a first-come, first-served basis, and folks wearing Knights jerseys can be seen staking their claims to tables a good 90 minutes or so before the puck drops on several TVs throughout the pub. At this point, no reservations are taken. 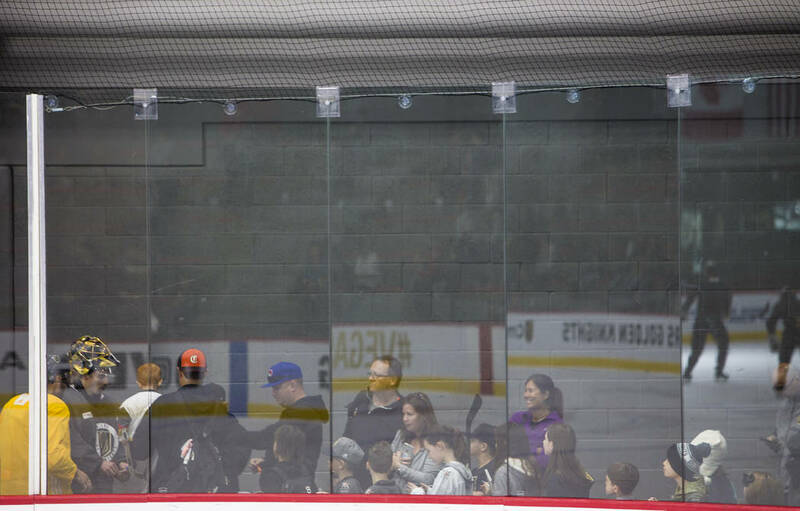 “If we did that, after the first wave of them, we could have a two- to three-hour wait as the game is being played,” Anderson said. Clooney and Wahlberg faced a pretty sizable wave in their perfect storm. No one saw it coming, a love affair between a town and a team, formed through the ironic marriage of sadness and success.